Updated 2017-02-01: Mathematical equation rendering failures spotted at the journal ‘Molecular Biology & Evolution’ (MBE). 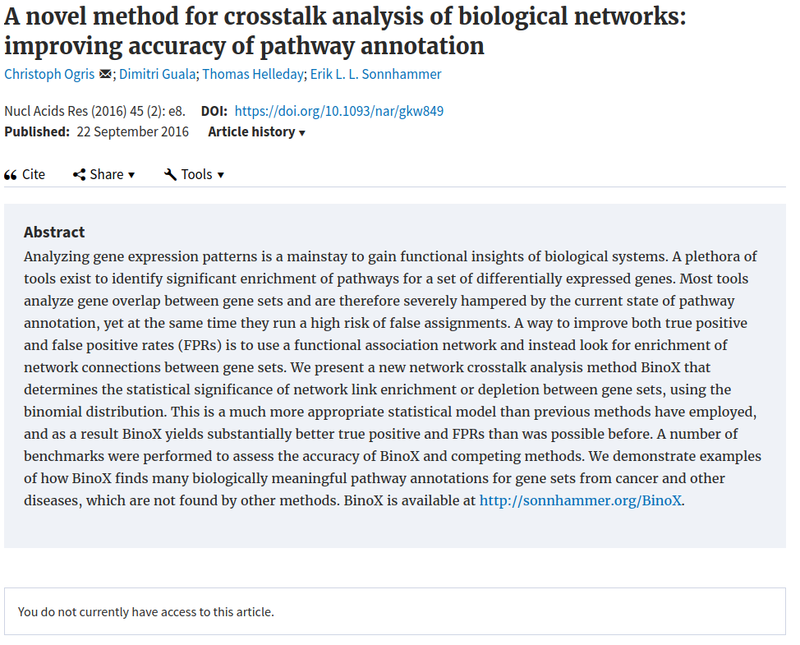 Added to the lengthy list.
. @NAR_Open access metrics seem to have disappeared – did you canvas author opinion on this? Great investigative journalism, Ross. Oxford University Press owes you a big thanks for saving them from having to hire a data scientist to diagnose their issues 👹. First, I’m glad that OUP is upgrading their user interface across the board. The new design is certainly an improvement. Good research deserves good presentation. For far too long, journals have lagged behind in UIUX. Nonetheless, there is something seriously wrong with the technology at OUP for the upgrade to break so many things. All these issues suggest the technology at OUP is lacking. I’ve observed most other journals have immense technological difficulty and reliance on awful platforms — the primary exception being PeerJ, which has excellent technology. Journals need to realize that they are inescapably tech companies. They need to be hiring real software engineers and architects. They need to overhaul broken systems. The technology behind a journal is nothing that advanced. Jesse Spaulding, working primarily solo, made https://thinklab.com in ~2 years. The interface and features are far ahead of most journals. Major corporations such as OUP should bite the bullet (a tiny portion of their hefty revenues) and hire a strong technology team. Thanks for the comment Daniel. I basically agree with everything you’ve said. These legacy publishers like OUP (but others too), seem professionally incompetent when it comes to digital publishing. The amazing thing is that the 2016 article is published in Nucleic Acids Research, where all articles are Creative Commons licensed. We’ve often seen hybrid journals incorrectly paywall open access articles. But now we have an open access journal with paywalled articles. Incredible! Here’s one more view with the article in the screenshot! John here from Third Iron (makers of BrowZine) – we contacted OUP about one of the issues you raised in particular – the “placeholder PDF’s” in early November 2016 and did not receive a response. 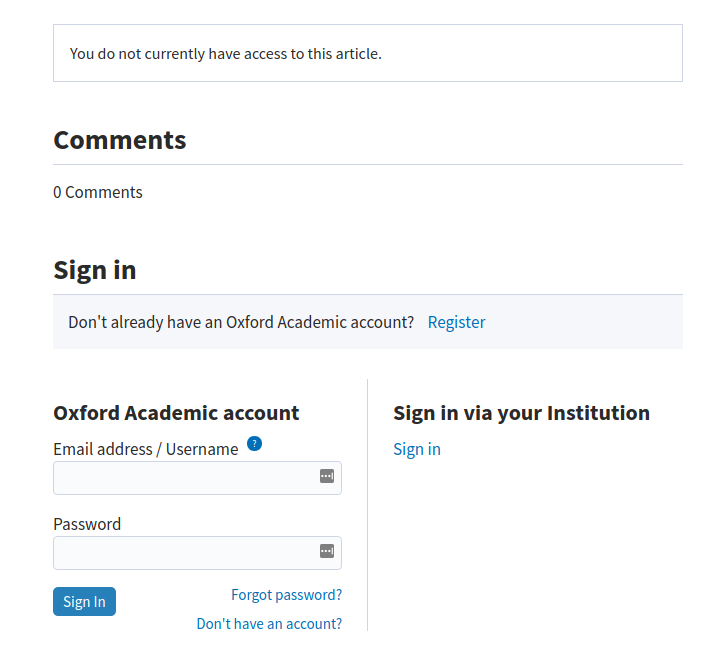 While annoying as it is to resolve DOI’s that turn into this it can be further annoying to receive metadata from CrossRef (not their fault of course – this is coming from OUP) to present to users as “available content” only to have them click and link to essentially nothing. BrowZine is not alone in this situation of course, all Discovery Systems (like Sumon, Primo, ALMA, WorldCat Discovery, EBSCO EDS and others) utilizing similar data from OUP and thus are full of “junk data” which is a shame. We will be continuing to suggest that they do NOT make DOI’s available until the content is available to be linked to it for this exact reason. To our knowledge – and we track and support 1,000+ publishers, they are only one of maybe 2-3 publishers that do this and are easily the most prolific at doing it. As they migrate more systems to their new platform, I’m hopeful that this workflow also evolves in the same way. It is interesting to see the myriad of other issues you have noted but fortunately I think most have to do with platform migration rather than publishing workflows so I’m optimistic that many will be resolved. Here’s hoping! Thanks John, really appreciate the comment. I can see how this would be annoying for users of BrowZine too. Is it simply too much to expect that the release of a DOI, and the publishing of content can happen reasonably cotemporaneously? I contacted the managing editor and editor in chief for journals where I have published and journals where I serve as an editor. This is a widespread problem.